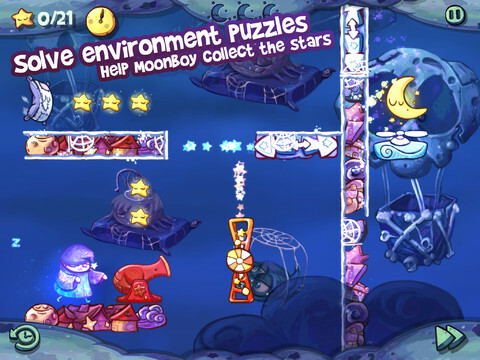 How the "Three Amigos" created this dreamy platform puzzle game. Earlier this month we reviewed 11 bit studios' dreamy new platform puzzler Sleepwalker's Journey. 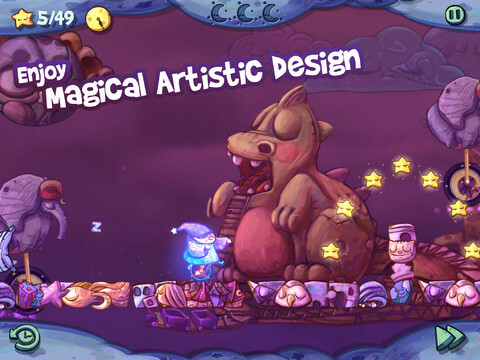 It's a game that combines imaginative platforming with some of the most distinct artwork we've seen all year. We caught up with 11 bit studios' Kacper Kwiatkowski to discuss the origins of the game, the crafting of that surreal artwork, and what we can expect from future updates to Sleepwalker's Journey. Can you talk us through your background as developers and how you came to work together on Sleepwalker's Journey? The team behind Sleepwalker's Journey are "Three Amigos" under care of veteran staff from 11 bit studios. It's the programmer (Grzesiek), the artist (Slawek) and the designer (myself). Grzesiek was involved in a canceled project elsewhere, Slawek is a talented digital painter, but without prior experience in games, and I did a few small mobile titles in other company. Ultimately, Sleepwalker's Journey was the first time we Amigos worked together and it was the biggest project for us. This platforming game is quite a departure for the studio. Where did the inspiration for the game come from? First of all, 11 bit studios only previously released Anomaly Warzone Earth, so it's not that we set a certain style to depart from. Intentionally each of our games is different, and I hope we'll be able to make more surprises in the future. The initial concept is actually three-years old but we were waiting for the right moment. It was primarily inspired by the old Amiga game called "Sleepwalker", however it has evolved much since then. Most of all, we were looking for pleasant ways of interaction that would work well with touch controls. Then we built all the mechanics around those, that were often inspired by the classic platformers, including the Mario series, Jazz Jackrabbit and Donkey Kong Country. Have sales of the game on the App Store met your expectations? Has there been a big uptake from followers of the studio, or is this too radical a departure for them? The game is doing fine, gaining momentum as drowsily as its main character, but also with his brave stubbornness. We're glad the players and the reviewers enjoy it, and we didn't notice that people who liked Anomaly or Funky Smugglers are an exception. I hope they appreciate our willingness to try various stuff. We don't want our enthusiasts to associate us with a certain kind of game, but with creativity and quality, which is always the main principle at 11 bit studios. What are you most proud of in Sleepwalker's Journey? The consistency. The story, visuals, music, challenges and everything around synergistically create the experience that has a certain magical, relaxing appeal to it. At least that's what the players say! The artwork of the game is extremely distinct. What was the process for settling on this style? The process was long and complicated, it wasn't just one guy saying "let's do it this way!" 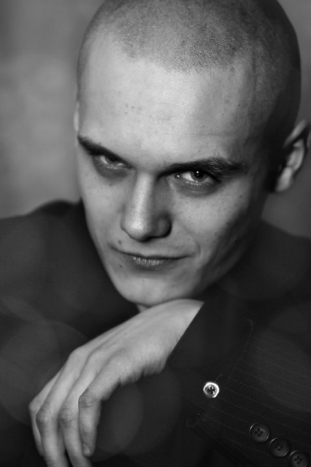 First, during early conceptual phase, some general ideas were proposed by the artist (Slawek). He did a bunch of drawings pretending to be screenshots from the game. The one we've chosen wasn't the most obvious, it was kind of "artsy" with a hand-drawn feeling to it and a bit of a grim, Burton-like atmosphere. It was far away from the more conventional casual concepts, with vivid colors, thick rounded contours and sleepy pandas. But, heck, we didn't want to make "just another casual game". So we took the "risky" concept and let it evolve, experimenting with the story, character, setting, and so on. What we've ultimately achieved is surprisingly close to Slawek's first drawing. Are there plans to release any new content for the game? If so, can you share any details with Modojo readers? 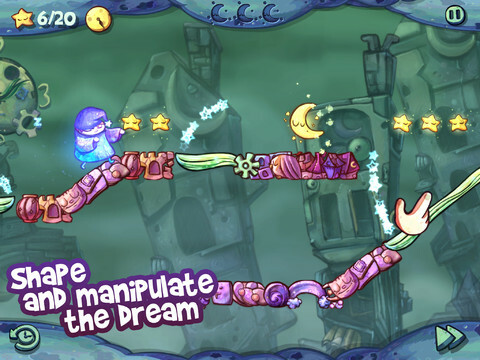 There will certainly be new levels ("dreams", as we call them) with some wacky ideas within. The amount of new content of course depends on the players' interest in it. We've heard anecdotally that freemium games tend to fare better on the Google Play platform. What's your experience been like with this particular game, and how have sales on the iOS and Android platforms compared? We like both platforms for different reasons, and our games get a share of interest on both of them. Currently, each platform has a classic paid version of Sleepwalker's Journey available. It's an honest deal: you get the full version for $0.99 ($1.99 for HD on iPad), without in-app purchases or other fancy stuff. At the same time we try out some alternatives, tailored to how players like to enjoy the game on a particular platform. So far there's a free version available (with 8 levels) on iOS, and there may be more experiments in the future. Finally, does the team have any hints or tips for Sleepwalker's Journey they'd like to share with our readers? The simplest tip is to take it easy. Try to relax and don't rush, as most challenges are easier than they appear. Remember you can always reverse time if something goes wrong. And if you're into collecting the gold medals, you can try to do the speedrun as a second attempt on each level.